The Horror Movie BBQ: Time To Shuffle With Da Bears! Welp, another football season has come and gone. I'm very happy for fans of the Falcons and The Patriots to see their favorite team head to the Super Bowl. Despite what people may say about either team, it truly takes a lot of hard work, determination and heart to make it to the big game. As a Bears fan, I'm really disappointed in my boys this year, but as the saying goes, "We'll get it next year...". 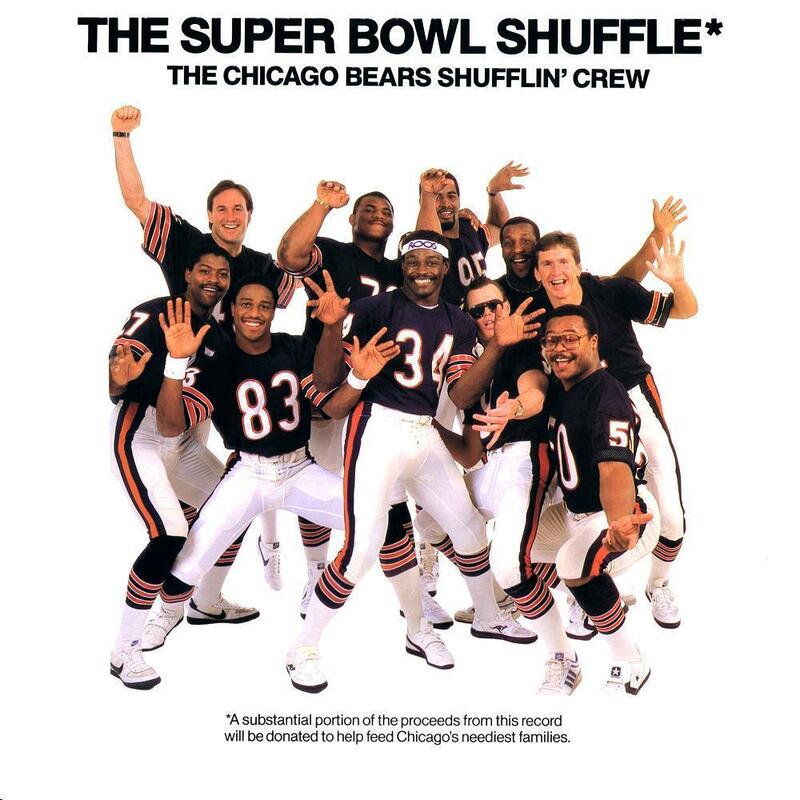 Oh jeez....The Super Bowl Shuffle. Ok. I'm being over-dramatic. If you're actually a fans of the Bears or just love corny music, this song holds a special in your heart. 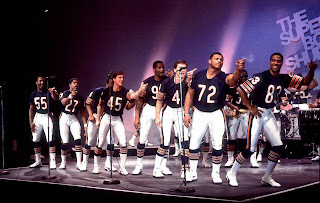 The 1985 Bears were one of the most beloved teams due to their immense charisma as well as being some of the most unique characters and hardest workers in the entire NFL. When people talk about players like The Fridge, Mongo McMichael, Jim McMahon, Willie Dent and of course, Sweetness himself, Walter Payton, they smile. On top of being one of the toughest teams ever, they also weren't afraid to have fun. Between The Fridge getting his own GI Joe figure to silly commercials for McDonalds and everywhere in between, they were more than willing to put a smile on their face and entertain their fans. 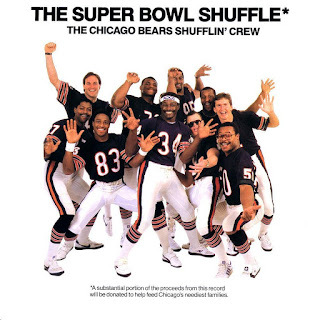 Now, when it comes to the Super Bowl Shuffle, it's very clear the Bears were taking themselves seriously and willing to throw down some unique vocals and killer dance moves. The Junkyard Dogs confidence was at an all time high. 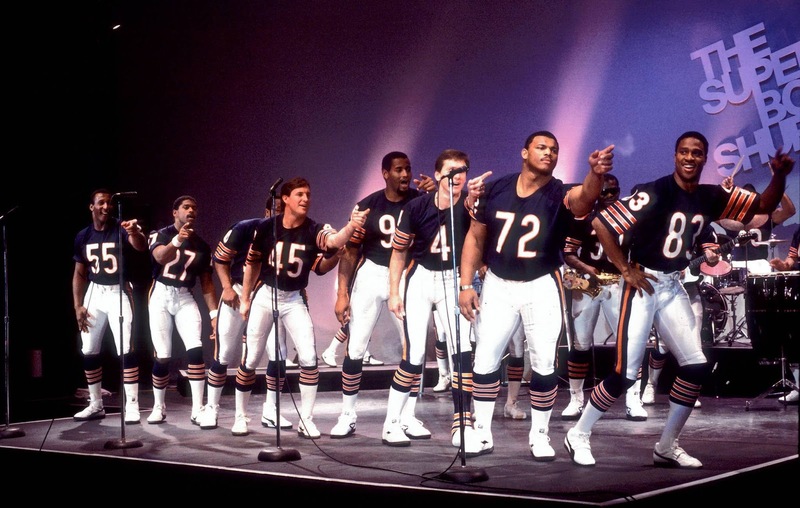 While a Super Bowl ring was their real goal that year, throwing down a memorable performance was their real goal. And memorable it was. 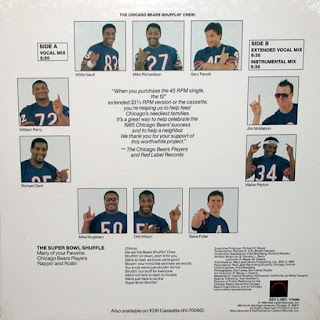 Music scholars will often tell you the highlight of 1985 was seeing Walter Payton comparing playing football to making love and seeing the Fridge do his iconic dance "Pointing and Lunging". Of course, the true star of the season and the music video itself was the "Punky QB known as McMahon". Jim McMahon was the master of throwing the pigskin, taking names and wearing headbands and sunglasses. His outrageous carefree antics were something to be reckoned with. Why, I bet he even wore two different colored socks on the field and left his keys in the transmission of his TransAm while he ran into WalMart for Cheetos. He's a bad boy. But a reasonable bad boy. He's pretty wild but he knows that the Super Bowl Shuffle is his moment to shine. He kept his trademark shades, but in order to be taken even more seriously, he convinced himself to leave his Frankie Say Relax headband at home. It was almost like a Jim we had never seen at that point. Cocky? Yes. But with purpose. He's sending the point that he's so good, that when he plays the game he "got no plan". A plan for a quarterback is always necessary. Not Jim. He just throws that ball, doesn't care where it goes and quite frankly, doesn't care if he wins or loses. He's just here to have a good time. But the Shuffle? All business for big Jim. Just don't let him fool you with his confidence. As he says in this Grammy Nominated song, "I play so cool, I aim to please." and pleases us he does. Whether it's his mad rhymes or dynamic dancing, Jim brought the boys to big game and the Grammy's. Others got their lines in, they had their chance to shine, but Jim made this song HIS. I defy you to show me any song where you can clearly spot a star emerging then and there. I. DARE. YOU. Oh you don't believe me when I say this was nominated for a Grammy? Don't fool yourself. How can you ever deny the explosive performance of Willie Gault and Richard Dent? And even though they lost to Prince. There is no justice in this world. While all these guys are NFL Hall of Famers or HOF worthy, I just don't want to live in a world where I can't say "Grammy Award winner, William The Fridge Perry". ...tell me that's not a tragedy.